Kathmandu, the gateway city before reaching the grand Mt. Everest can often be overwhelming. Travelers who come, tend to go in and get out, barely taking the time to fully grasp the entire vibe and culture of this chaotic city. Amidst the chaos, dust, and noise, if you take the time to look around, you will see a vibrant city buzzing with life. So before you think of just darting in and out, consider spending a few days wandering around this historically fascinating city. Don’t know where to start? 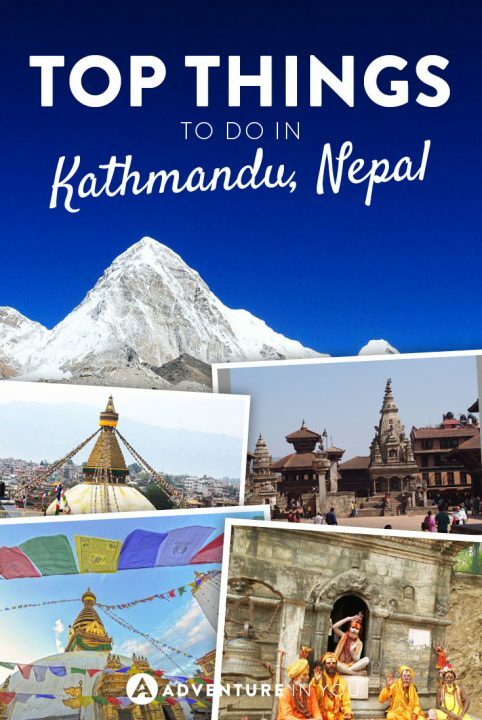 We’ve got you covered as we highlight some of the top things to do in Kathmandu. If you’re unsure about where to start, it’s best to get right in the heart of all the action by paying a visit to Thamel, a busy and vibrant area littered with tourist agencies, restaurants, and shops. The streets are busy and you will hear a never ending trail of voices inviting you to come and look around their shop. However, once you get over the initial chaos, walk around and find random coffee shops and garden restaurants where you can happily relax oblivious to the chaos around you. If you’re intrigued at what’s around you, continue walking down the street and you will find souvenir shops, adventure gear knockoffs, and a slew of trekking companies. However, if there is one tip we could give, it is to go past the shopping stalls and really venture in the alleyways and streets. You will not only learn a lot about the Nepali way of life but also understand more about their culture. 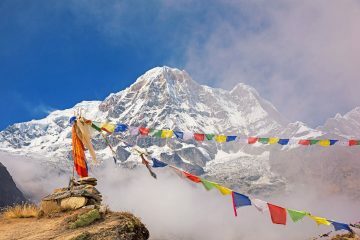 Local Tip: If you are planning to do any trekking while in Nepal, you can save a lot of money by purchasing most of your gear and outdoor equipment here. While I wouldn’t recommend skimping on fake trekking boots (a good pair will last you a lifetime!) other things such as down jackets, rain jackets, and sleeping bags are all available for a reasonable price. Just make sure you check the quality! The locals love to haggle so make sure you bring your game face on when trying to buy stuff! There is an overwhelming number of options so think carefully about what you need. If you can afford it, going on an Everest aerial flight offers another stunning perspective as you cruise high up in the clouds. This short flight will allow you to see the world’s tallest mountains in the Himalayas. Similarly, some agencies also offer Heli tours which are equally or if not, even more fun than seeing things from a plane. This was an experience that I sadly wasn’t able to do as my schedule was just too jampacked. However, it is something I vowed to do on my next return as I can only imagine the incredible views from above! For your aerial flights, I recommend checking out Fishtail Air, a reputable company who has been running flights since 1997. Editor’s Note: Want to know what Kathmandu is really like? Check out my Kathmandu Photo Diary for an insider’s glimpse. 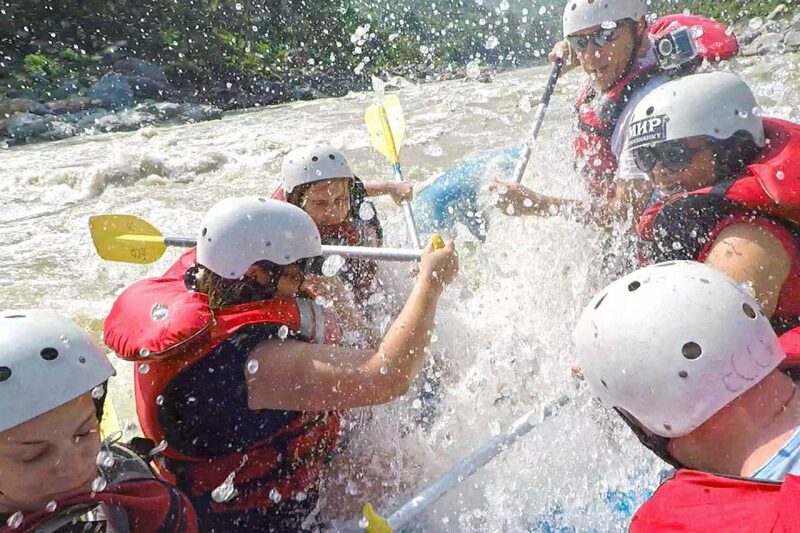 While Kathmandu and Nepal are almost always associated with trekking, white water rafting can be a fun day activity to go on if you’re looking for something to do. The rapids at the nearby Trishuli river makes for a fun yet short day trip which involves challenging rapids and stunning natural scenery. During the monsoon season, these rapids increase in intensity, attracting avid whitewater rafters from all over the world. While rafting in the Trishuli river is available on 1-3 day expeditions, other rivers in Nepal can take you up to 10-day river trips as you face rapids in various grades and classes. During my time in Nepal for the Himalayan Travel Mart, part of the adventure tour was a one-day whitewater rafting trip down the Trishuli River, which was organized by NARA (Nepal Association of Rafting Agencies). As expected, the river was cold but was very refreshing- I do admit to purposely jumping off the raft a few times when the rapids were calm just to cool off. For more information on how to arrange a white water rafting trip, you can check out Royal Mountain Travel. If you’re looking to go white water rafting while in Kathmandu, you can also head to the Bhote Kosi River where you can enjoy white water rafting. Click here to see prices. Home to 7 Unesco World Heritage Sites, Kathmandu has no shortage of important landmarks to visit. I spent a few wonderful days wandering around all the landmarks during my time there and I suggest that you take the time to do the same. Listed below are a few of the highlights and must visit places. 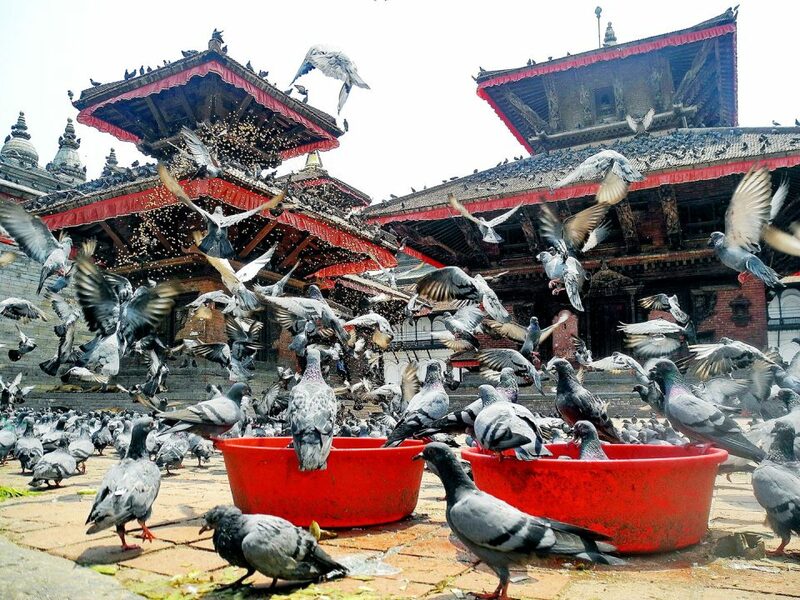 While in Kathmandu, a visit to this plaza is a must! Walking here will make you feel like you’ve stepped back in time as you marvel at the historic blend of Buddhist and Hindu culture. Amidst the vegetable vendors, Holy Men (sadhus), and vendors, you can see a large square full of ancient temple and architecture, along with remnants of the Old Royal Palace. 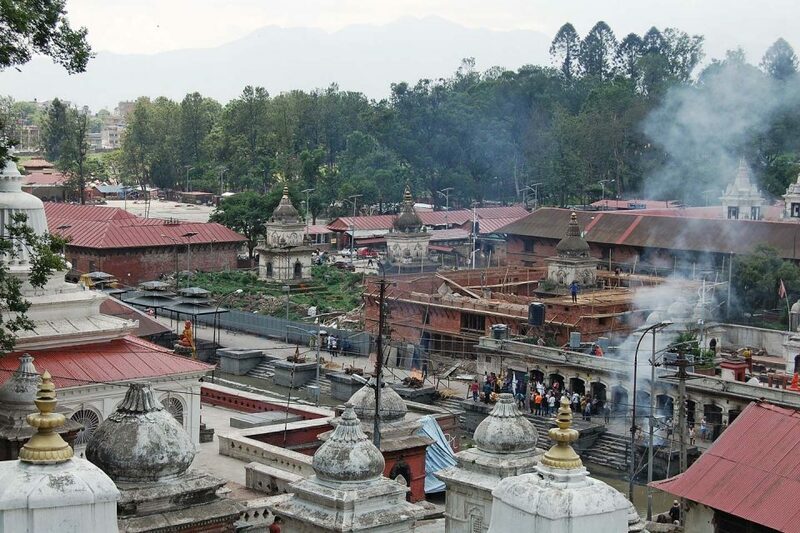 Within the complex, you can find the Hanuman Dhoka (complex of royal palaces), the Taleju temple, and the Kumari Bahal. Sadly, the earthquake in 2015 damaged a few of the temples in the Southern section but the majority of it are being reconstructed so paying a visit here is still very much worth it. 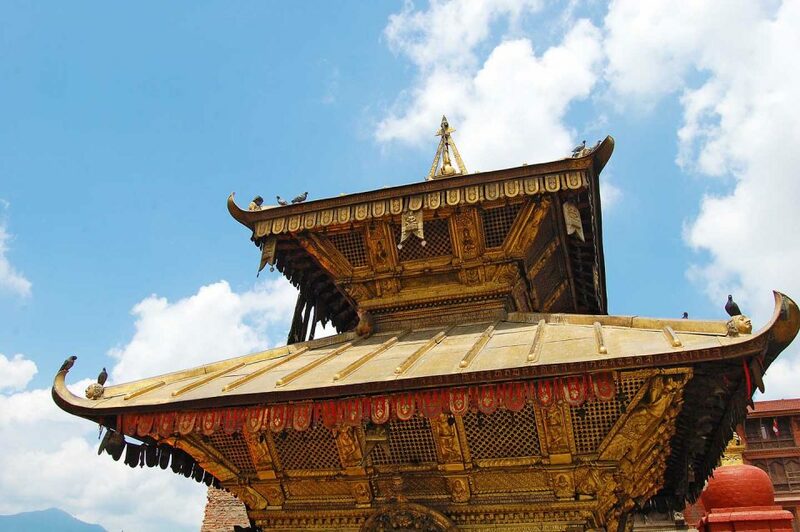 While in Kathmandu, one of the top attractions is a place more commonly referred to as the Monkey Temple. While we generally advise you to steer clear of the monkeys as they can be pretty pesky. We do urge you to hike up the 365 stone steps to get an incredible 360-degree view of the Kathmandu Valley. Apart from the impressive views, the beautiful gold stupas at the top are also fairly impressive and is a fun sight to photograph and capture. On your way back from Swayambhu, you may also consider visiting the Three Buddha Park which is home to as you might have guessed, three giant golden Buddhas. Each of the Buddhas are around 20m tall and is worth the slight detour. 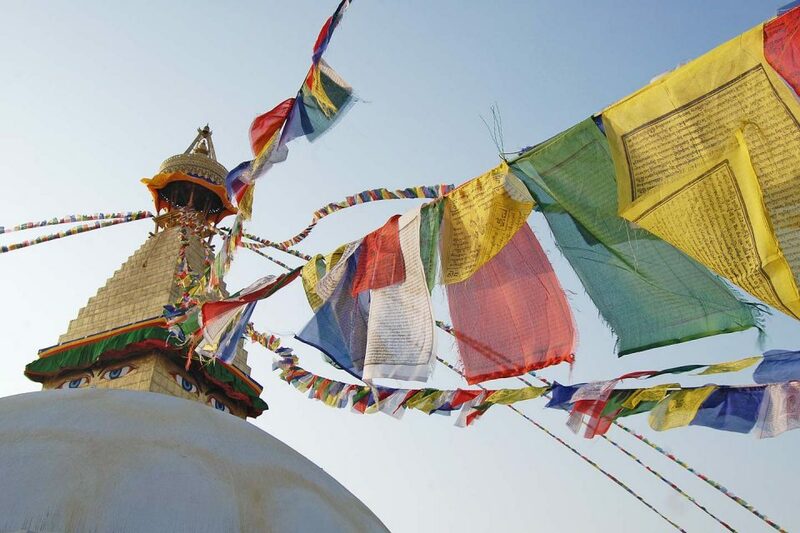 While I could go on and on about the many temples and stupas to visit while in Nepal, apart from Swayambhu, the Boudhanath is another must visit. Proclaimed as a UNESCO heritage site in 1979, this octagonally based stupa is surrounded by prayer wheels and flags. What I love most about this particular stupa is the symbolism behind it. The five statues around it represent the five elements and the rings symbolize the steps to enlightenment or Nirvana. Aside from the fact that it is a popular Buddhist pilgrimage site, it is truly fascinating and is a must see. This place was one of my favorite places in Kathmandu. I was trying to explain to my guide Sanjaya why I was so fond of it and he summed it up perfectly. He said that as soon as he enters the place, a calm energy instantly comes over him. I went to Boudhanath twice during my time in Kathmandu and each time I felt reenergized and alive. I highly recommend that you pay this place a visit. What he said stuck with me the whole time I was walking around. I could see the smoke from the open air cremation rise up to the sky, dead bodies waiting their turn to be burned, and people gathered by the temples. If you ever find yourself in Kathmandu, I highly recommend spending an afternoon wandering around here as it is truly fascinating. If you’re feeling anxious and the crowds and the busy streets of Kathmandu are getting to be too much, escape to the nearby Kopan Monastery which is a gated community of Buddhist monks. The monastery grounds are huge as it is home to around 360 plus monks. Here, you can see large temples, many prayer flags, and the inaudible sound of morning chanting and evening prayer. The monastery offers daily courses of yoga, meditation in a place with stunning views over the Kathmandu Valley. For those doing a day visit, the grounds are open from 9-5 but it is advised to drop by for the Daily Dharma Talk at 10.30 am, (Mo – Fri) which is led by a Western teacher. After explaining some of the basic principles of Buddhism, you are welcome to have lunch in their garden cafe. Similarly, longer stays for meditation courses are also available. To get to the Kopan Monastery, you can go on a 2-hour hike from the streets of Thamel or take a 30-minute taxi ride. Alternatively, you can also get a bus to Boudhanath then walk to the grounds which is another 40 minutes or so by foot. 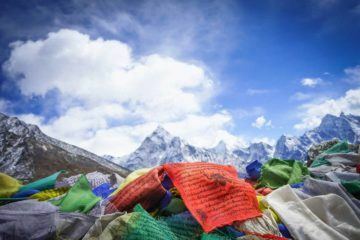 Lastly, we all know that the main reason why you are in Kathmandu as it is the gateway to exploring the many amazing Nepal treks within the surrounding area. 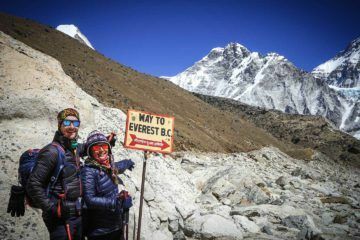 So whether you’re ready to take on Everest, or just looking for a few fun yet challenging treks in between, booking with local Nepali owned operators is highly advisable. Not only do they know the place best, we’ve found that they are able to organize everything perfectly, down to the last detail. Word of advice, while it’s easy to just book the cheapest tour available, doing it with a reputable company can make or break your trip. While you don’t need to go with the most expensive company either, just make sure that you read reviews and talk to other travelers who have completed treks. This was my home away from home while in Kathmandu and to be perfectly honest, I couldn’t be any happier. The rooms were simple yet really comfortable but it was the staff who made the entire experience noteworthy. Every day, I was greeted with smiles, questions about my day, and lovely service. 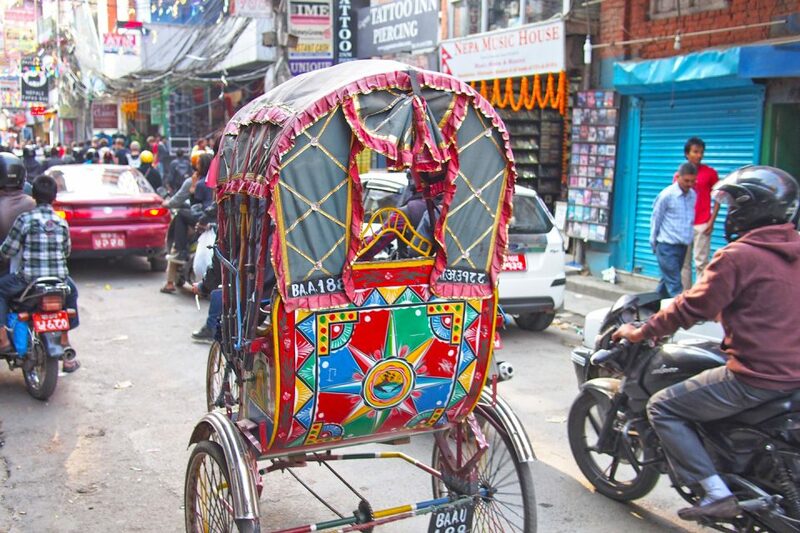 Although it was located a taxi ride away from the popular Thamel district, it was easy enough to get around. With that being said, the best part about this hotel was the incredible rooftop pool where you could relax while looking out at the incredible view around you. I cannot recommend this place enough! While I didn’t really get the chance to stay here, I did visit it a few times as this was where the Himalayan Travel Mart was held. The hotel ground was huge, showcasing a variety of different room types. The entire place was surrounded by lush greenery, a lovely outdoor pool, and a small gym. I definitely recommend this place to those who don’t want to get caught in the hustle and bustle of Kathmandu city. For those who want to be in the center of all the action, this place is a great pick as you are walking distance to most restaurants and bars. Located in the heart of Thamel, this place is like a garden oasis for tired travelers. Although it is located in the thick of it all, the compound was surprisingly quiet and peaceful with a large courtyard and garden area where you can chill and relax. While it’s easy to dismiss Kathmandu as another busy and crowded city, the truth is, if you take the time to explore, you will be surprised at the amount of hidden little gems, alleyways, and friendly smiles you will encounter along the way.